The Registry of Research Data Repositories (re3data.org) is hosting a database of over 900 data repositories that cover “all academic disciplines.” The Registry is funded by the German Research Foundation and is comprised of all German institutes. However, to be included, the repository must have an English GUI to their website. Suggestions are being solicited for other repositories to be included. Their schema is published and comments can be added to that schema until Oct. 20, 2014. The schema treats archaeology oddly as a subject. There is a value tree for Humanities/Ancient Cultures/Prehistory/ and Classical Archaeology. There is also a separate entry for Egyptology and Ancient Near Easter Studies. The re3data.org site is supposed to join with another index of repository site Databib, and be controlled by yet a third organization, DataCite, sometime next year. 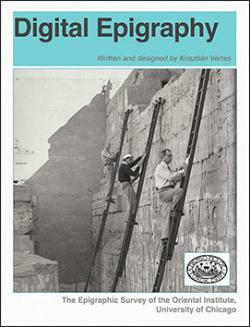 The Oriental Institute has released a new book titled Digital Epigraphy, a manual for the methods that they are using to record items found in their Epigraphic Survey. The free volume is available from their website as either a PDF or ePub book. Much of the volume is a primer on the use of Photoshop for photo manipulation, and Illustrator for the final vector drawings. 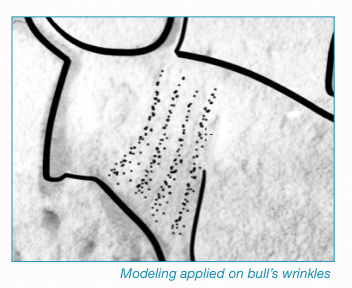 They cover layer structures, brush selection, curves, manipulating vector paths, pattern creation, and more. In short: this is essential and the manual that I wish I could write for those creating digital drawings in the field or in the research lab. I plan to make it required reading. Regular members of the ASCSA began excavation on April 7 south of the museum and Temple E with the goal to unite the conserved portions of the Frankish area with the ‘plateia’ south of the museum. This area will be open to the public once the area is consolidated. ‘Trenches’ were also opened within the Church and north of the church. Participants in the first of three sessions include Maggie Beeler, Morgan Condell, Hans Hansen, Stephanie Kimmey, Jen Swalec, Sarah Rous, Alex Seufert, Colin Whiting, and Rebecca Worsham. Ross Brendle is working in the museum with our black figure pottery collection. Jody Cundy is the site supervisor and Rosana Valente is assisting in the pot sheds. Google Glass is one exciting addition to the recording system, thanks to Andrew Reinhard, Director of Publications, who has generously lent his unit to us. Follow the link to see a slideshow. I am always happy to see more video on site. I am hoping that we hear more about their use of Glass while the season continues.